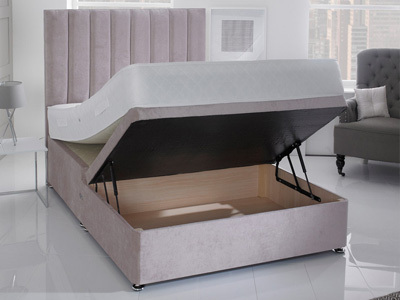 A range of divan bases available in all standard UK sizes. 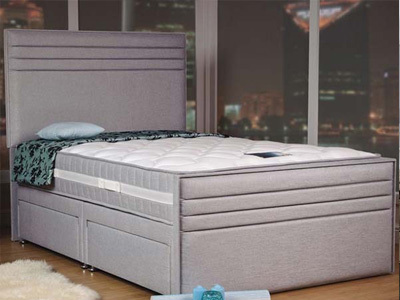 Choose from a range of storage, headboard and fabric colour options to create the perfect bedroom setting. 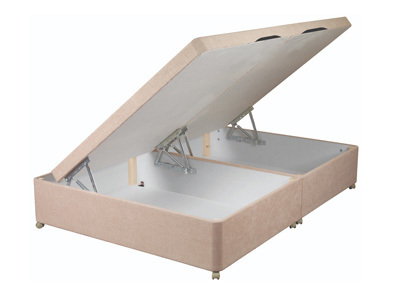 Most of our Divan Beds are in stock and available for next day delivery to all the parts of mainland UK. 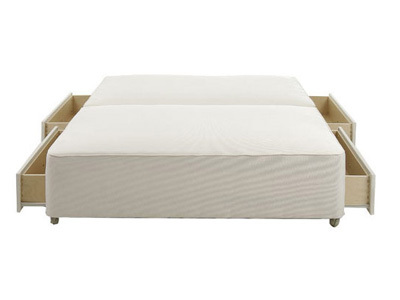 What Is The Difference Between A Divan Base And Bed? 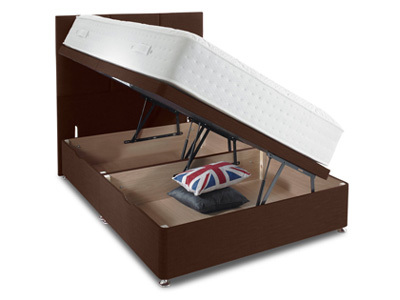 Divan bed bases have become extremely popular over the last few years. 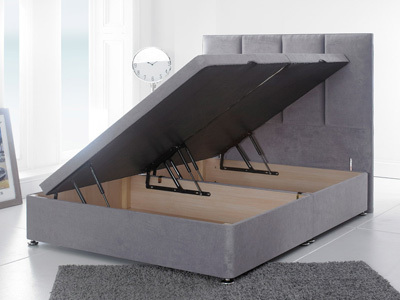 A versatile product that not only offers a huge amount of style options but also provides plenty of storage solutions by letting you configure a number of drawers you require in the base. 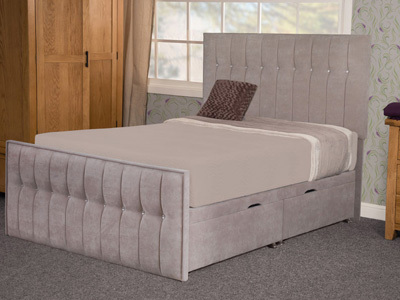 A base, as opposed to the full divan bed, is a perfect alternative if you want to keep your existing comfortable mattress and freshen up your bedroom design with a more contemporary look. 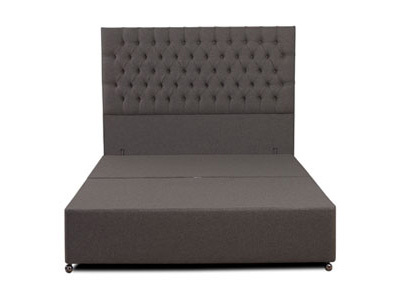 The most popular divan base fabrics are supplied in damask, chenille and velvet. 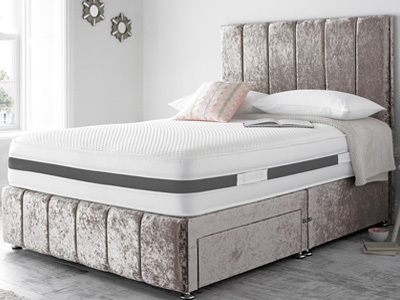 Damask fabrics tend to be manufactured in synthetic fibres and will have a pattern that will usually match the mattress cover. 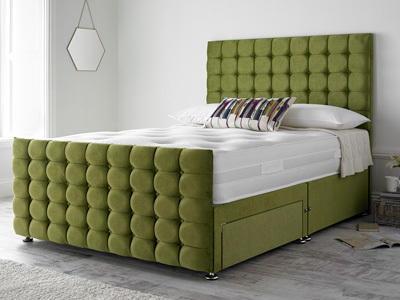 Chenille and velvet fabrics offer a more luxurious look and come in a wide range of colours to help match your design choices. 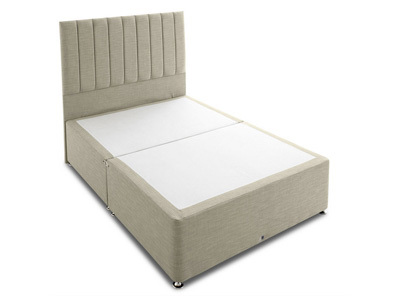 A divan base also lets you have the option of adding a matching headboard, again available in a wide range of styles, fabric options. 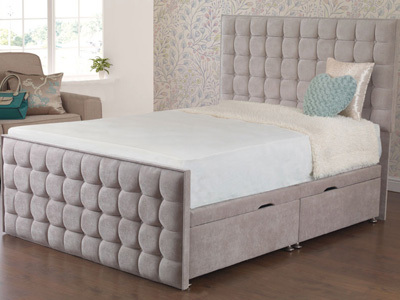 Another popular design this year at Bedstar are the floor standing headboards, which can make a real statement in your bedroom. 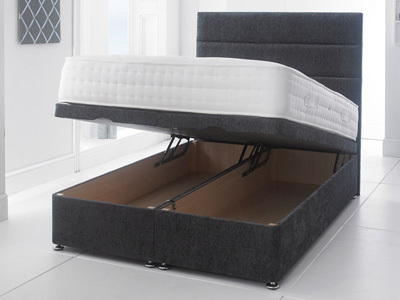 All of the popular sizes are available including single, double and king size.New leg options give the opportunity to have a shallow base on tall or short feet, allowing you to customise the height of the base if this is a requirement.